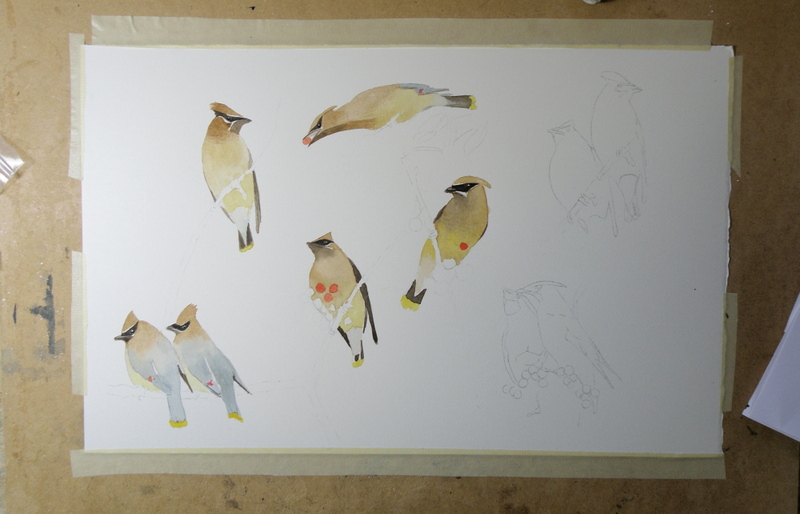 Here is the finished watercolour featuring the Cedar Waxwing and the Mountain Ash. It is available for purchase, $325US matted; $400US framed, shipping costs extra. Contact weisserlance@gmail.com. ‘The Annual Masked Mt. Ash Berry Ball’ watercolour, 10″ x 16″, Saunders Waterford Hot Press Paper 140 lb., by Lance Weisser.